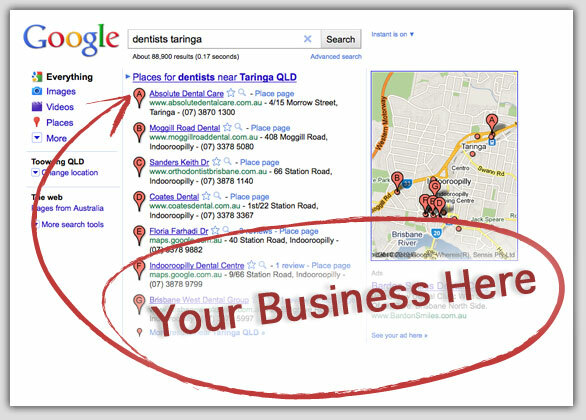 Google Place Search, and Google Maps is mystifying to many small business owners. I’ve tried to cut through the complexity and misinformation with this simple checklist. Expand your basic business information. Add other basic information to your business website that people commonly look for. This includes: hours of operation, maps and driving directions, menus, prices, amenities, cost or quality differentiators, discounts and special offers, seasonal events, and the names of owners and employees. Establish local citations. “Local citations” are any online mentions of your company, especially mentions with the phone number or business address. So, getting your business listed in a good number of high-quality online directories is vital. The more high-quality sites appropriate for your type of business you can get listed in, the better. Think of online yellow pages like YellowPages.com, Superpages.com, andCitysearch.com. Also think of reviews sites like Yelp and Angie’s List, as well as category-specific “vertical” directories that match your business type, such asHotels.com for hotels, FindLaw for lawyers, Contractors.com for contractors, andUrbanspoon for restaurants. Building out your business listings and business profiles on all of these sites helps rankings a lot, but it’s also time consuming and the details can be tricky. There are companies — such as Universal Business Listing, Neustar’s LocalEze, and Infogroup’s Express Update. 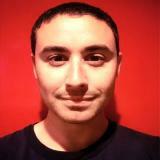 — that help distribute your listing information to major directories and local search engines. It may be wise to use one or more of them for this purpose. Read “Local Search: Understanding ‘Citations’ to Improve Rankings,” my earlier post, for more information about citations. Claim your listing in Google and Bing. Once your listings have been distributed for a couple of months, chances are that Google and Bing will have absorbed your business information into their local databases and will begin displaying them in local searches and map searches. To check this, search by your business name in maps for your area, and see if your listing is shown in the search results. You can click to view the business information in the search engines, and then select to claim the listing to update it. If your listing hasn’t already appeared, you can wait patiently, or you can try to jump-start the process by adding your listing. Usually the claiming or verification process takes a few weeks, because Google and Bing will call you or send a postcard to make sure your business is located where you say and that you have authority to update the information. Once you have access to update, carefully select business categories, and add as much relevant information about your company as you can. Coordinating your Google Place listing with your company’s Google+ page is still tricky at the time of writing this. You may want to explore your options carefully or tap a professional to help navigate this. Integrate with Google+ Local. Coordinating your business information with Google+ is advantageous as Google continues to promote that service. Setting up a personal profile on Google+ for yourself or for a prominent employee at your business can help make your search listings more attractive, since the profile picture of your personal profile may be displayed with pages of your site in Google if you set it up correctly. To do this, read my article, “Authorship: The Top Search Marketing Tactic in 2013.” Read, also, “Google+ Local Creates Need For ‘Local Social’ Strategy,” my previous article, for more context. Blog. Seriously, just start blogging about things involving your company and your industry or products. Blogging provides a means of developing the keyword content of a site over time. Moreover, blogging is significantly rewarded by the search engines. It also provides you with a format for creating numerous “doors” by which consumers could come into your business. If your site is configured on WordPress, then it won’t take much to set up the blog section and begin blogging. Blogs also provide fodder for social media updates, which is the next tip in our checklist. Read more in “Your Blog is Key to Search Engine Optimization.” Also, decide how you want to set up your blog: a subdomain or a subdirectory. Dive into social media. Social profiles and social media update posts can provide a constant influx of citations and links for your business. Google and Bing are increasingly using unique social signals for ranking determinations, too. Integrate with the social media services that make sense for you. Facebook, Twitter, Google+, LinkedIn, Pinterest, Flickr, Instagram, YouTube, and Tumblr are all influential. Also,social media check-in services help local SEO, too. Optimize images. If your business lends itself to visuals, read ways to optimize for local rankings via images for tips on leveraging images on your site and in social media sites like Pinterest and Flickr. Develop your business’s influence and engagement levels in social media.Numbers of followers are good, so long as those followers are also influential and engaged. Klout and Kred are both free services that can help you get an independent picture of how much influence and engagement levels you’re achieving for your business through social media. If you’re in a hotly contested category and market area, you might have to go to a lot more effort than merely accomplishing these basics. Just think about it. If you’re in a city where there are hundreds or thousands of businesses similar to yours, and Google only displays the top seven businesses on the first page of search results, chances are good that many of your competitors are also doing the basics. If you need more advanced, aggressive work, consider hiring a professional to assess your local search optimization program and get recommendations and help for improvement. But, for a great many businesses, these basics will give a leg-up, and even an advantage, since so few companies are doing all of these things or even doing all of them well or consistently. Local SEO isn’t rocket science. But it takes concerted effort and consistency to achieve and keep top rankings.